Liz and Dan’s 10-year courtship proved that good things do happen to those who wait. 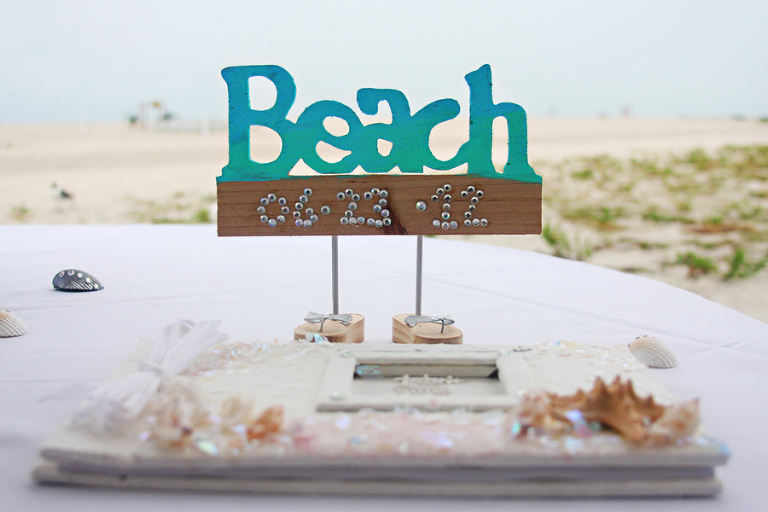 The Chicago couple chose to hold a Clearwater beach wedding because they wanted an outdoor tented beach reception. 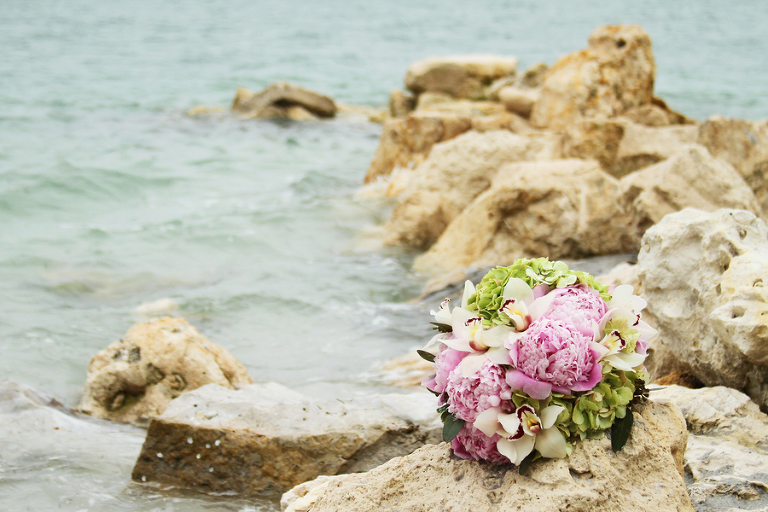 With the help of Clearwater wedding planner Weddings on Sand Key Beach the couple planned a seafoam green and pink beach wedding. 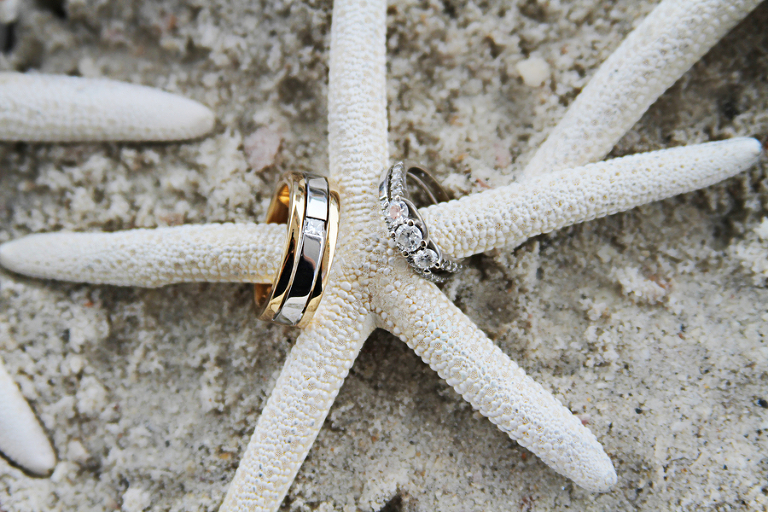 “The theme I went for had a romantic, vintage, casual beach feel. I looked through magazines and got ideas on Pinterest. I chose different ideas because I didn’t want to settle for one look,” Liz explained. 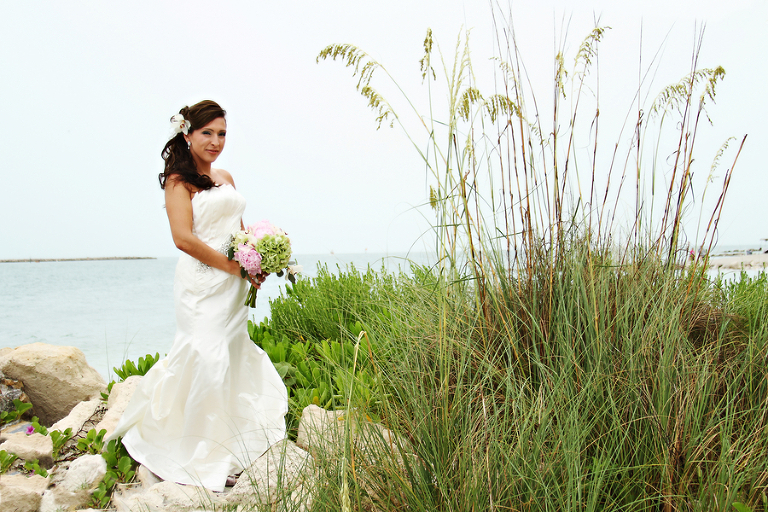 To capture their wedding day, the pair hired Clearwater wedding photographer Heather Rice Photography. “I wanted a photographer to capture moments without looking ‘set up’ or pretentious. Heather made all the photographs look effortless,” Liz said. 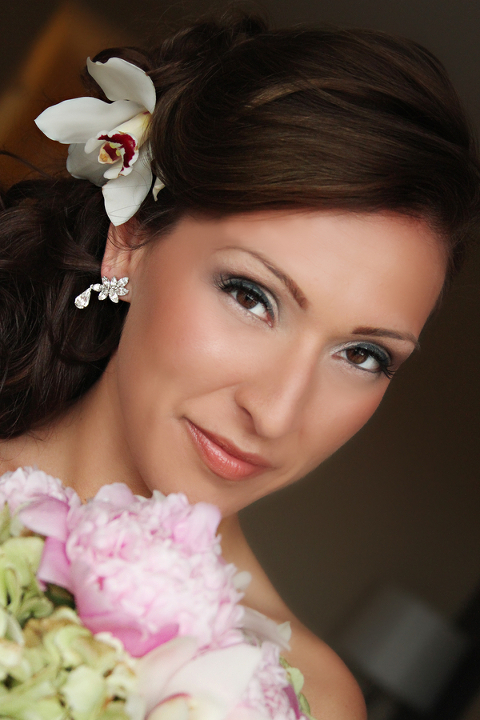 I would say to other brides to take the day as it comes, even with all the unexpected. Make the best of it & don’t stress the small stuff.